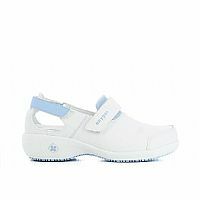 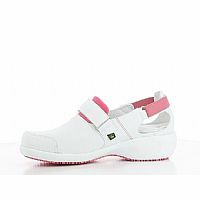 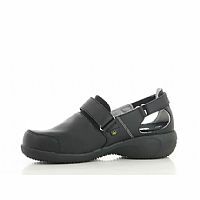 The model Oxypas SALMA is a trendy, comfortable closed shoe, fully adapted to the needs of healthcare professionals. 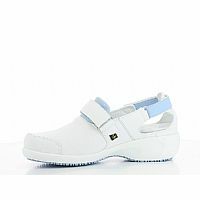 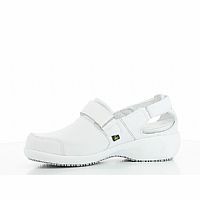 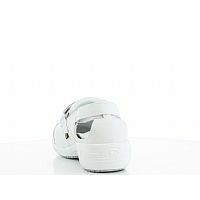 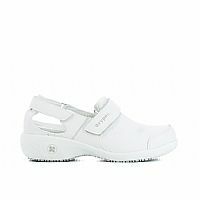 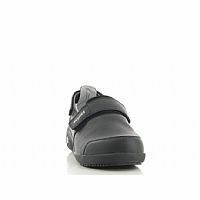 The adjustable velcro straps on the back and top of the shoe ensure a firm fit. 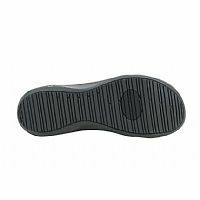 The closed heel increases the protection and safety. 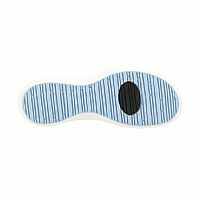 The soft part in Lycra avoids friction and irritation. 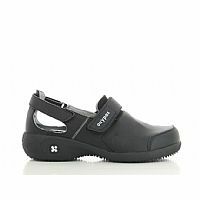 The Move Up collection is a ultra light design with antistatic properties and a slip resistant outole. 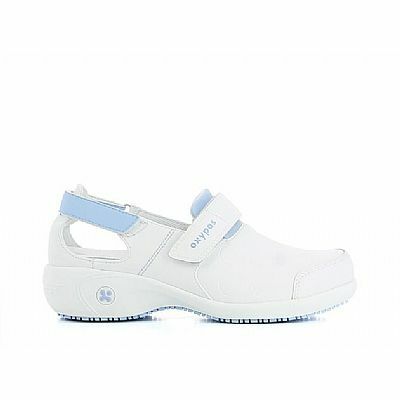 The breathable inner lining in Coolmax � keeps your feet cool and draws perspiration away from the skin. 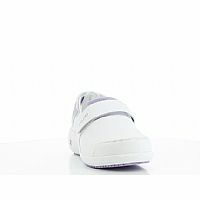 The outer material is leather and can easily be cleaned with a damp cloth. The anatomical shaped foot bed and outsole that at any point touches the ground, ensures a healthy support of the foot. 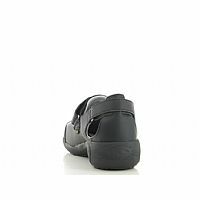 This model has an elegant 1.58 inch or 4 cm heel. 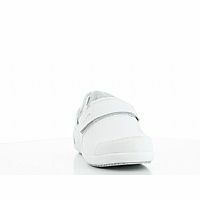 Leather: The outside of the shoe is leather.